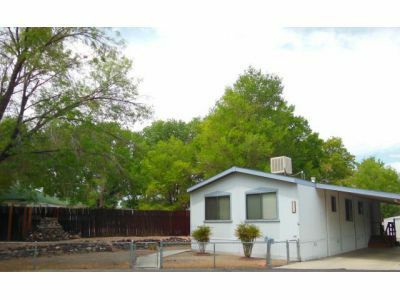 You can't beat the location and price in this senior park mobile home. Located at the park entrance, this newer home has a low maintenance yard and move in interior. The back yard and creek provide an amazing outdoor setting for summer evenings and early morning coffee. This won't last, so take a look quick.